The Brevard College Tornados Men’s Basketball team (3-3) held off the visiting Toccoa Falls Eagles, pulling out a 73-68 victory late Wednesday evening at Boshamer Gymnasium. The Tornados were led by a very balanced attack, with four players reaching double-digit scoring totals on the evening. Sophomore guard Demari Hopper led the way for Brevard, pouring in 14 points on an efficient 6-of-7 shooting from the field. Hopper pulled down a game-high seven rebounds as well. Junior forward Levi Lamb added on 13 points on 6-of-12 shooting to Brevard’s efforts. Lamb grabbed five boards and tallied three steals on the evening. Sophomore forward Cannon Lamb also recorded 13 points to go along with six rebounds. Sophomore guard Eric Evans provided a spark off the bench for Head Coach Lee Burgess’ squad. Evans tallied a career-high 11 points in just 12 minutes played in the contest. Evans also knocked down one of the three 3-pointers for the Tornados on the night. As a team, the Tornados shot 28-of-51 (54.9%), besting the Eagles’ 25-of-56 (44.6%) mark. Brevard out-rebounded Toccoa Falls by a 37-29 margin, which included nine offensive boards. The Tornados (3-3) are off to their best start in the first six games of a season since Burgess took over the BC Men’s Basketball program in 2012-13. 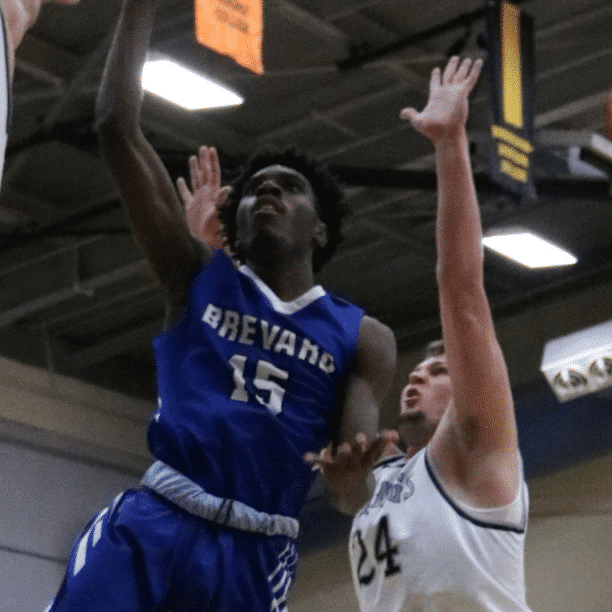 Brevard has won back to back games for the first time since the 2014-15 season, where the Tornados won consecutive games on four separate occasions. Brevard will look to continue its winning ways on the road. The Tornados will travel to Raleigh, N.C. to open up USA South Conference play against William Peace University on Saturday, December 1 at 2 p.m. 2018-19 marks the first season that Brevard will be eligible for a USA South Conference regular season title, along with postseason all-conference awards.